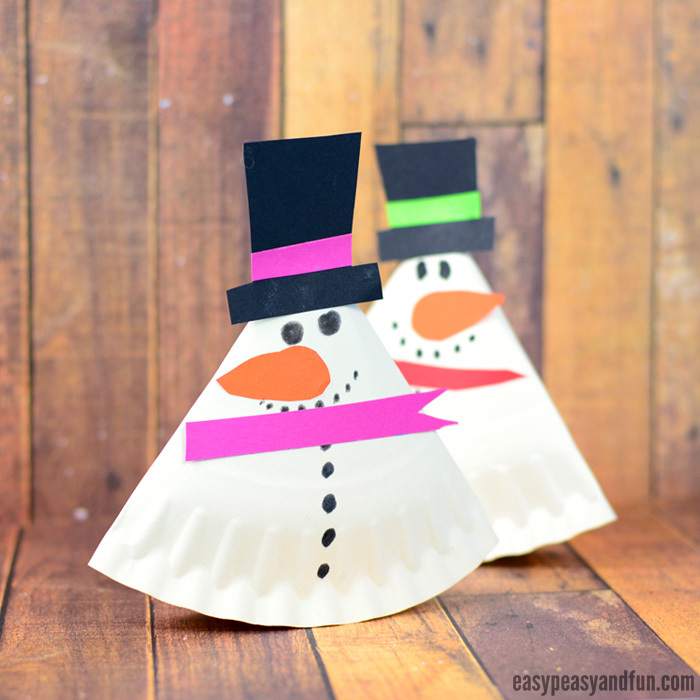 Time for another adorable wobbling craft, let’s make a rocking paper plate snowman together. 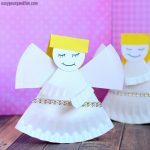 You will soon see how easy and fun these are to make. 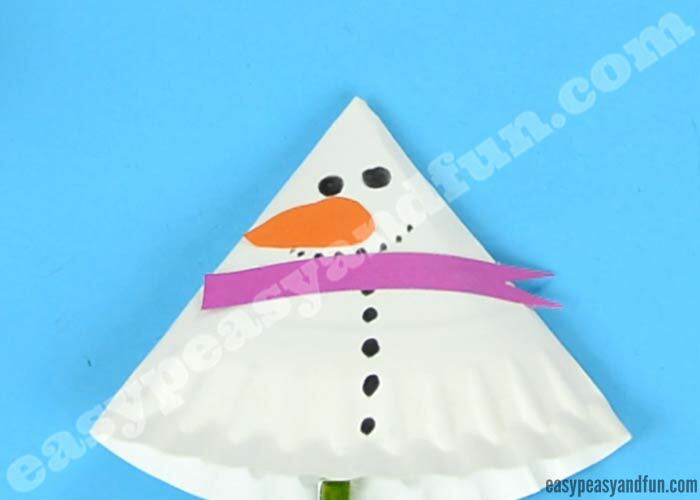 Snowmen are a great project to make either for Christmas or winter theme. Now if you ask me, building a real snowman out of snow is still the best and most fun activity kids can do when it comes to snowmen, but sometimes the weather just doesn’t permit this. Be it too warm or too cold, or well if you just want your snowman to last longer than the winter, these are a fun alternative. 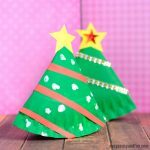 Christmas paper plate crafts are a great classroom activity, as they are frugal and can turn into quite an arty session if you don’t stick to just one project, but give the kids paper plates, materials and a Christmas theme to make. I do hope though, you will find some inspiration in the ideas we share! 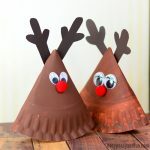 Christmas time is all about making memories with family or friends, and Christmas crafting with kids is one of the best ways to spend time together. Well ready to learn how to make these? Let’s get crafting! Any other decorating materials are naturally more than welcome, some silver or blue glitter glue might give nice little snow sparkle effect. 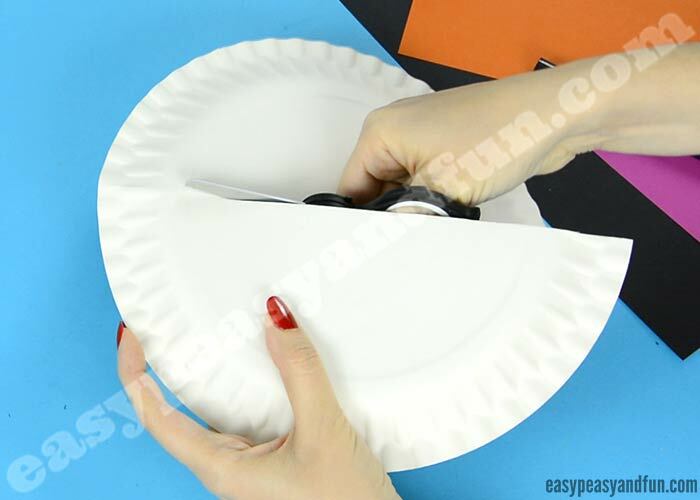 Fold the paper plate in half. 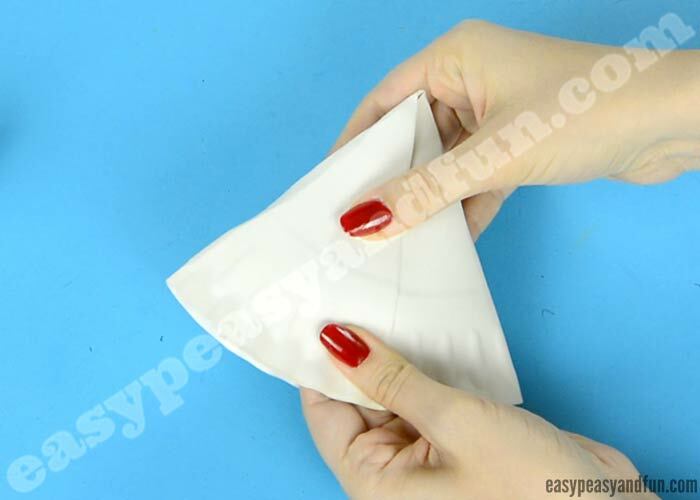 Cut along the fold to get two two equal pieces. Take one half of the paper plate, roll it into a cone. 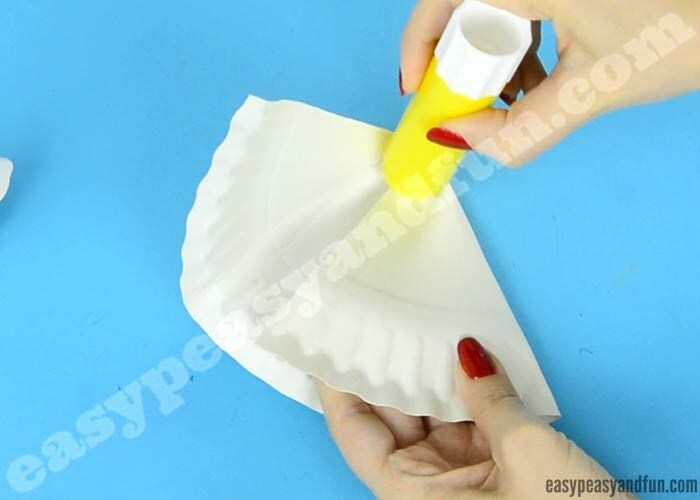 Apply glue on one end, and glue together into a cone shape. Hold together until the glue sets. I usually use a clothespin for this task, and continue crafting. Draw eyes and buttons with a black marker. Cut out a carrot nose shape out of orange paper. Apply a smaller amount of glue and stick the nose under the eyes. Draw mouth with a black marker. Cut scarf out of scarp paper. Glue it on the paper plate snowman. Cut a hat shape out of black paper. You can decorate the hat with a “paper ribbon” if you so wish. I think it looks fancy this way. 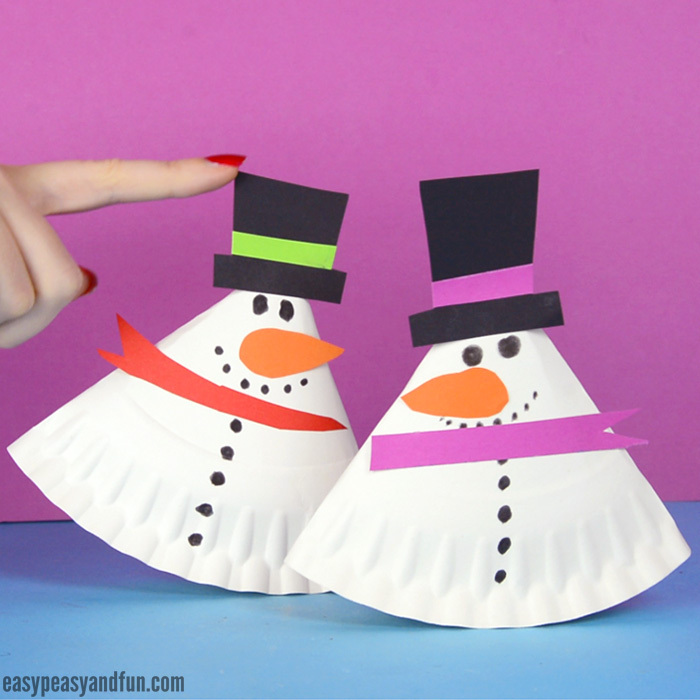 Glue the hat on top of your rocking paper plate snowman. 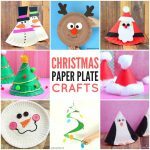 Have fun playing with your rocking paper plate snowman. 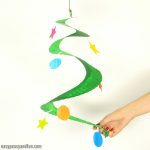 Fun to make and even more fun to play with! Loved making this one? 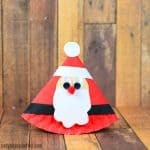 Why not check the paper plate penguin craft or the rocking Santa paper plate craft too!